I love tea. 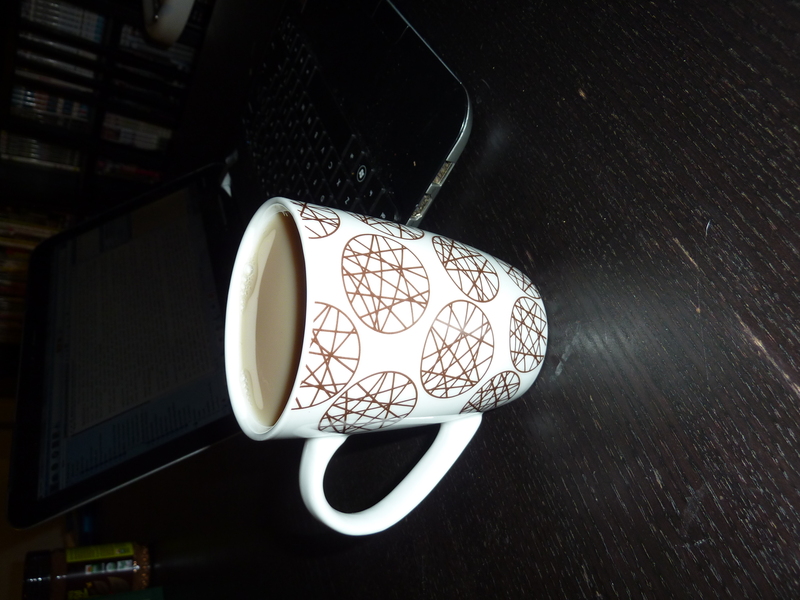 I’m not sure I would be capable of writing if there wasn’t a tea cup within arms reach. When one of my favourite blogs, Stuff With Thing, did a contest where all you had to do was comment on the blog about what you snack on while reading I had to confess there that I drink tea. 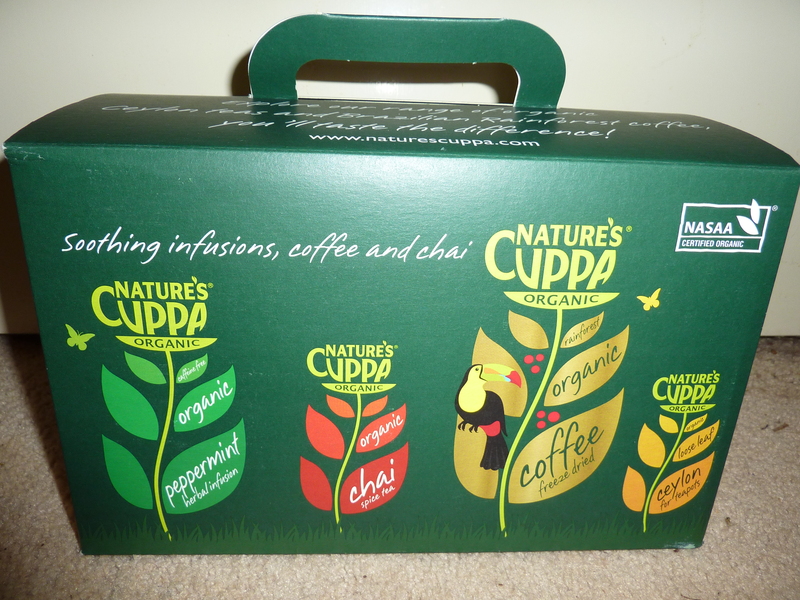 To my surprise (even though I thought my entry might be a little dull for the judges (Marita’s lovely daughters Annie and Heidi)) I won the prize pack of Nature’s Cuppa organic tea. I haven’t had the time to try all the flavours, but I have enjoyed a cup of the chai (I am a chai addict at the moment, a passion I share with one of my sisters in law). It was rich and peppery and delicious. Quite strong too since I let it brew for the 4 minutes the box recommended. If you like a gentler flavour perhaps don’t allow the tea to steep quite so long, but it was still wonderful. There is a lot of tea in here. I won’t have to go buy tea for a long time. Thanks Marita and Nature’s Cuppa for your generosity! 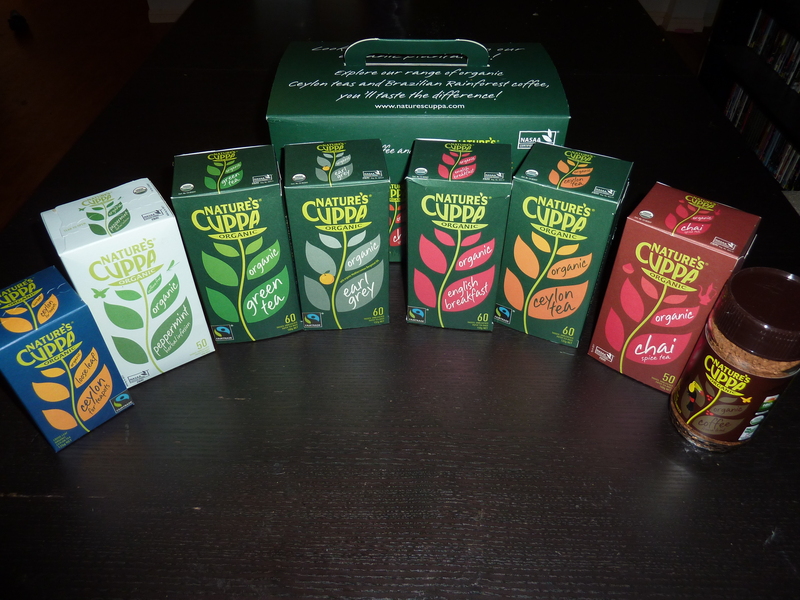 I won the prize pack (as I mentioned above) but am under no obligation to comment/blog about the tea. However I am very excited and have loved my first cup, so wanted to anyway. All opinions are my own and not paid for. A chai tea and some novel revision? Sounds like a good day at work to me. Annie picked your comment about the chai because she is enjoying chai herself at the moment and also because she really related to the difficulties of dunking biscuits and getting the pages of your book messy.